Syrian War Report – October 11, 2018: ISIS Seizes Toxic Agents Intended To Be Used For Provocations In Idlib 4.4285714285714 out of 5 based on 14 ratings. 14 user reviews. ISIS terrorists have been able to seize toxic chemicals due to the irresponsible actions of the representatives of the Western countries, Lieutenant General Vladimir Savchenko, chief of the Russian center for the reconciliation of the conflicting sides in Syria, said on October 10. According to Savchenko, on October 9, a group of ISIS-linked militants attacked the headquarters of Hayat Tahrir al-Sham (formerly Jabhat al-Nusra) in the village of al-Lataminah. He added that four militants and two members of the White Helmets organization were killed in the attack and two cylinders containing chlorine were taken out of the headquarters. The seized cylinders were transported to southern Aleppo and handed over to members of another terrorist group – Hurras al-Din. “The Western countries, while planning provocations against Syrian government forces and employing their controlled bandit groups, do not take into account the complicated situation in the Idlib de-escalation zone. As a result of those irresponsible actions, poisonous chemicals ended up in the hands of Islamic State terrorists whose actions are hard to predict,” the Center head stated. It is interesting to note that Savchenko described Hurras al-Din, which is known for its links to al-Qaeda, as an ISIS-associated group. This may indicate that in Idlib pro-al-Qaeda and pro-ISIS organizations are now working together to sabotage the Idlib demilitarization deal. Meanwhile, the Turkish Defense Ministry stated that the demilitarized zone had been completely established around the province of Idlib. The defense ministry added that the withdrawal of all heavy weapons from the zone had been completed. Earlier, Russia’s Foreign Minister Sergey Lavrov said that the establishment of the demilitarized zone around Idlib is “progressing quite well” and praised Turkey’s efforts to implement the agreement within the agreed-upon timeline. Nonetheless, the Russian Defense Ministry has not released official comments on the Turkish statement so far. Thus, it’s still possible that this effort is yet to be finalized. 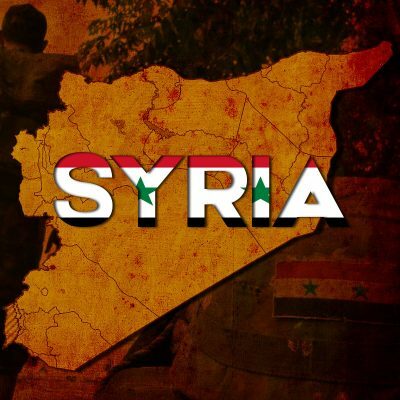 The Syrian Army and is allies eliminated 19 ISIS members in clashes in Qa’a al-Banat in the al-Safa area in the al-Suwayda-Damascus desert. 6 pro-government fighters were also killed in these clashes. On October 10, the US-backed Syrian Democratic Forces (SDF) claimed that they had eliminated 651 ISIS members and captured 6 others since the start of the SDF advance on Hajin. According to the SDF, the advance was supported by 215 airstrikes and 17 artillery strikes from the US-led coalition. It seems to me that ISIS received orders from outside (USA-Israel-NATO ?) to move these toxic agents out of possible Russia-Turkey hands. Good catch. That may very well be the case. How CONVENIENT that the US gvt et al, managed to leave the precise chemicals necessary to create a chemical weapon, just laying around and probably handed a map to the exact location where they were stored to ISIS.. Everyone knows ISIS is a cia/mossad creation, trained by the US/Israel/French/UK et al, supported by the aforementioned, paid by the aforementioned, transported by the aforementioned.. STOP PRETENDING LIKE IT’S ALL JUST COINCIDENCE! WE KNOW YOU DID IT! Well, the SDF have fucked up again. Daesh have counter-attacked and have now re-taken many positions they had originally lost, right back to the Iraq border!! Way to go SDF!! !